It's that time of year again: Hour of Code Week, 4-10 December. Last year we highlighted some of our favourite hour of code activities for families to join in with at home. This year we thought we'd highlight the Hour of Code robotics activities. 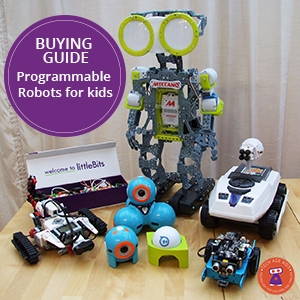 We're big fans of teaching kids robotics and physical computing here at Tech Age Kids. Take a look at our post on why kids should learn about robotics. We've previously tried out and reviewed many of the robots and physical computing devices that are used in the Hour of Code. A lot of schools participate in the Hour of Code but it's a great event for families to participate in at home too. It's always good to have more resources to encourage kids to get their robots out and try something new. Note that several of the activities include the option to program a virtual robot so you can still join in even if you don't (yet!) have a robot or robotics kit. Ozobot Bit and Evo are cute mini robots that can follow lines and read colour codes as well as being programmed with code. Evo is the newer version with extra social features and sound. Bit is still great for coding. 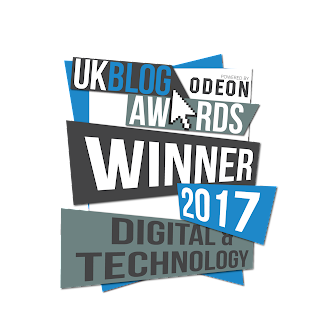 We've previously reviewed Ozobot and done lots of activities with the cute little robots. Dash and Dot from Wonder Workshop are two of our favourite programmable robots for younger children. They've been around for a while now so there are lots of great resources available including the Hour of Code activities. 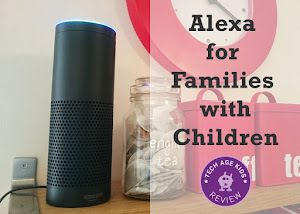 You can read our review of Dash and Dot and we have enjoyed using them in projects. Cue is a more grown up robot for tweens and teens with social features and more advanced coding. Cue is new for this year and Cue's starter guide features in the Hour of Code to help get new owners up and coding. The littleBits Code Kit is also new this year. It's a kit that allows kids to program littleBits modular electronics components using a block-based language. There are several Hour of Code activities that use the kit. Our review of the littleBits Code Kit is coming soon but we've reviewed other littleBits sets and created activities with them in the past. LEGO Mindstorms EV3 is the current version of the popular LEGO robotics kit for older kids. There are some Hour of Code activities from LEGO Education that use the EV3 robotics kit to solve challenges. We've previously written about LEGO Mindstorms EV3. It's not cheap, but it's a great kit with lots of resources and competitions. LEGO WeDo is LEGO's STEM and robotics kit for younger children. It's a product for the education market though it is possible to buy it for home use. Let's Start Coding make kits that teach children text-based coding using the Arduino platform. We've previously reviewed their Let's Start Coding Kits and the Code Car which feature in the Hour of Code activity. You can complete the Hour of Code activity using an online Code Car simulator. 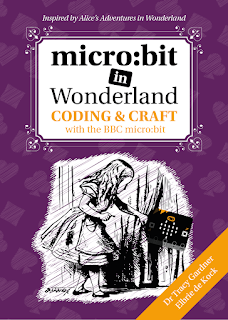 The BBC micro:bit is a fab and inexpensive mini programmable computer from the UK. There are Hour of Code activities to turn the micro:bit into a virtual pet using block based coding or Python. VEX IQ is an introductory robotics system for elementary and middle school children whereas VEX EDR is a more advanced sytems that targets middle and high school students. Whichever kit you have, there's an Hour of Code activity featuring Blockly, block-based coding. If you don't have a kit you can program a virtual robot. The Finch is a small robot designed for computer science education. The Hummingbird robotics kit comes from the same educational technology company, BirdBrain Technologies. Tynker is an app that allows kids to create code with graphical drag and drop blocks. You can also program connected robots including drones and Sphero robots. We've found that Tynker is a great way for kids to work with Parrot drones - coding can be more reliable than tricky controls! Sphero has a big range of programmable robots and we've written a guide that explains the different Sphero options. These robots do a great job of being fun and entertaining and also educational without compromising on either. That's quite an achievement. There are Hour of Code robotics activities that work with various Sphero robots. The Hour of Code is a great opportunity to try out something new. Why not make it robotics this year?